The Beatrix Potter Gallery displays original items from the National Trust’s exclusive collection of artwork. This year’s exhibition ‘The right sort of woman’, …. For anyone who has ever been enchanted by Beatrix’s endearing characters, this is the place to go to marvel at these miniature masterpieces. The gallery is in a quirky 17th-century building which Beatrix’s solicitor husband used as his office. 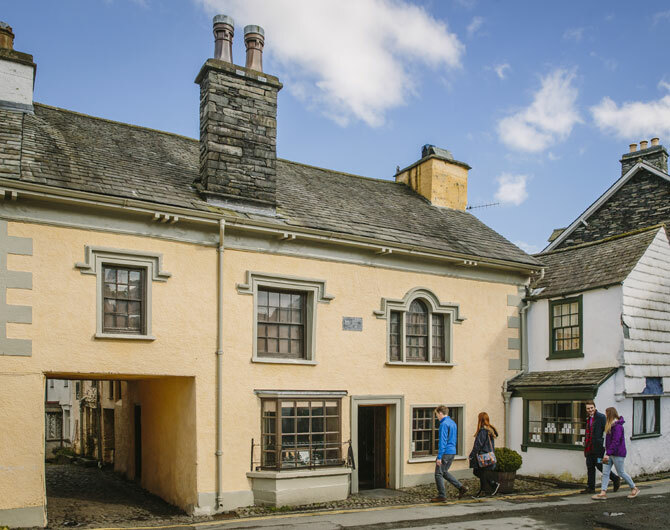 Hawkshead village is an excellent base for exploring the countryside that inspired Beatrix and many other artists, authors and poets. Her home, Hill Top (also National Trust), which she bought with the proceeds of her first book, is just two miles away.